Bobby Flay is no longer part of the Iron Chef. He revealed his decision in a dramatic fashion. During his final Iron Chef competition, he removed his coat to reveal a shirt with the message “This is my last Iron Chef battle ever.” He said that he thought the move would make for a good TV moment. At first, he brushed off the stunt as a joke. He later revealed that it was not a joke and that was his last time he’d be doing Iron Chef. Flay was part of more than a hundred Iron Chef battles, which he said were exhausting mentally, physically, and emotionally. He would do six to eight battles a week that requires a lot of energy and creativity. The Food Network didn’t know about Bobby Flay’s decision to quit the show. They were not amused by the stunt pulled by the celebrity chef during the taping of the show. As proof of the network executive’s dismay of his action, they blacked out the message of the shirt when the show aired. The celebrity chef has several shows on the Food Network. He claimed that quitting Iron Chef didn’t result in bad blood with the network. He also said that he might still consider doing the show if the network asked him to come back in the future. However, he added that it might be best to have new and younger people to be part of the show. The good news is that it is not a total departure from the network. Bobby Flay might be leaving Iron Chef, but his fans can still expect to see him in other Food Network shows in the future. 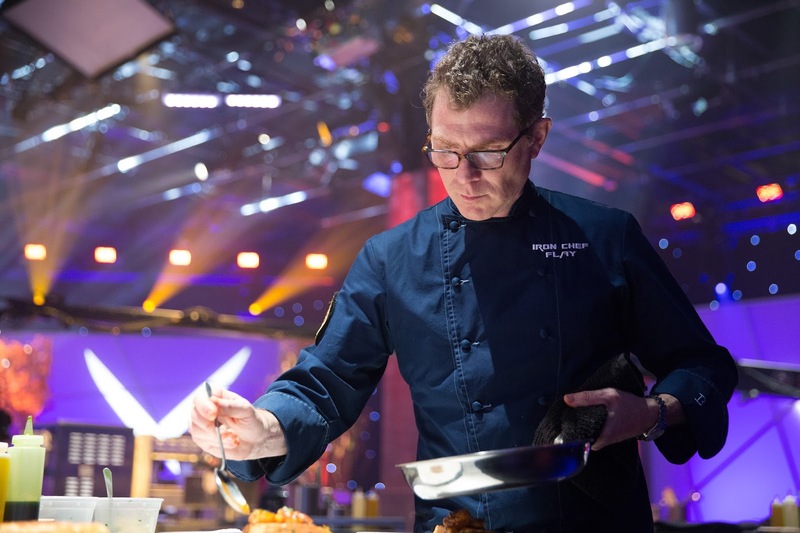 Time will tell whether Iron Chef can continue its success without the great Bobby Flay. Children of a Lesser God playing on Broadway. 15 Times Kate Middleton’s Style Dropped Jaws! 10 Predictions For Trump/ Kanye West’s 2016 Bid: #1 Is Terrifying!